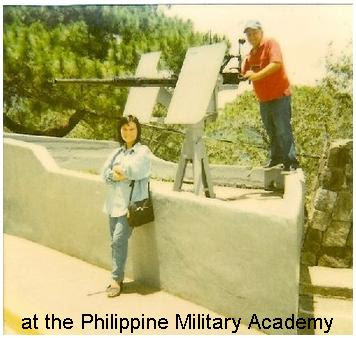 I was talking to my family in the Philippines a while ago online using the webcam. I talked to my sister, and her family, my youngest brother and his wife and to my beloved auntie. My aunt kept asking me when will we go back there. My hubby was here too talking with them. 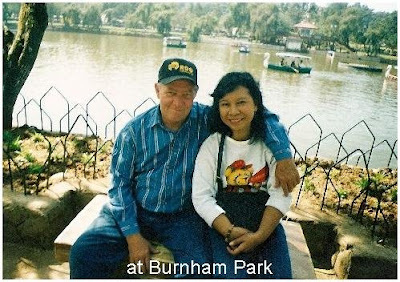 We both miss them and we told them we would like to go back there as soon as possible because we miss them too. My sister said they were supposed to go to Baguio today and just hearing the name of the city made me wish I'm there now. 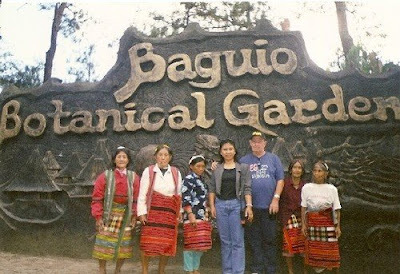 I miss my family, my home there and also Baguio City. 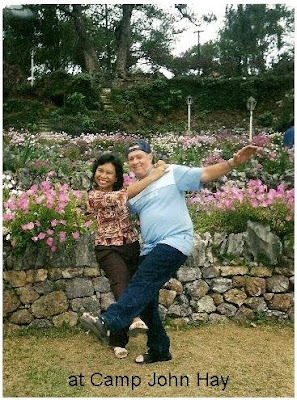 Hubby and I love the place because of the cool weather all year long. It's a good place to stay during summer time there. 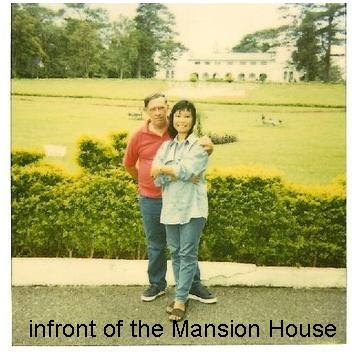 In fact my hubby wanted to buy a house there before but I just didn't agree because we were leaving for the US. Now I wish I've agreed to his plan. I know that all the prices of the real properties there now have skyrocketed and we can't afford it now. 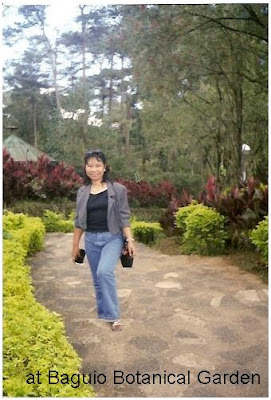 It's good to reminisce the past when my hubby and I were enjoying the cool weather and nice views in Baguio City. 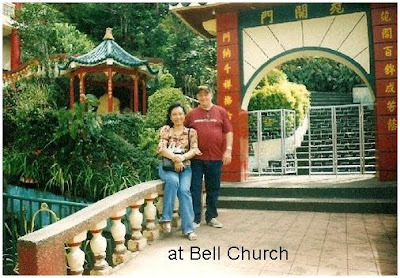 Here are pics of me and my hubby taken there a few years ago.